Take that ripple out of that paper bag and flush it's contents down the drain. I know you can do it. Just for today. While you are at it take that rum and Kahlua you have hidden in your laundry basket and chuck that too. We are making no booze tiramisu today. Tiramisu is typically made with raw eggs and a boozy coffee concoction (Kahlua or rum). It's a good cake if you feel like being plastered, pumped up and poisoned with salmonella. Cluck. Cluck. I adapted a recipe from "You Wont Believe It's Vegan" one of my favorite vegan cookbooks of late, written by Lacey Sher and Gail Doherty. Lacey and Gail might be on the wagon also because they don't saturate their tiramisu recipe with booze either. I've replaced some ingredients and changed up the frosting but the basic prep is the same. I must give credit where credit is due, for the tiramisu... I'm a poet and didn't know it bahahaha. Make the cake. Preheat oven to 350. Grease a jelly roll pan and line with parchment. In a large bowl sift together flour, baking powder, baking soda and salt. In medium bowl combine oil maple syrup, hazelnut creamer, water, vanilla and apple cider vinegar. Pour wet ingredients into the dry and mix until combined. Pour into prepared pan. Bake for about 20 minutes until a toothpick inserted into the middle comes out clean. Let cool on rack before frosting. Beat the margarine sticks together until light and fluffy. Add the confectioners sugar and beat for about 3 more minutes Add wet ingredients and beat for about 5 more minutes or until fluffy. Once cool, cut the cake in half width wise and place one-half in the bottom of a 9 by 13 inch baking dish and top with about 1.5 C of the frosting. 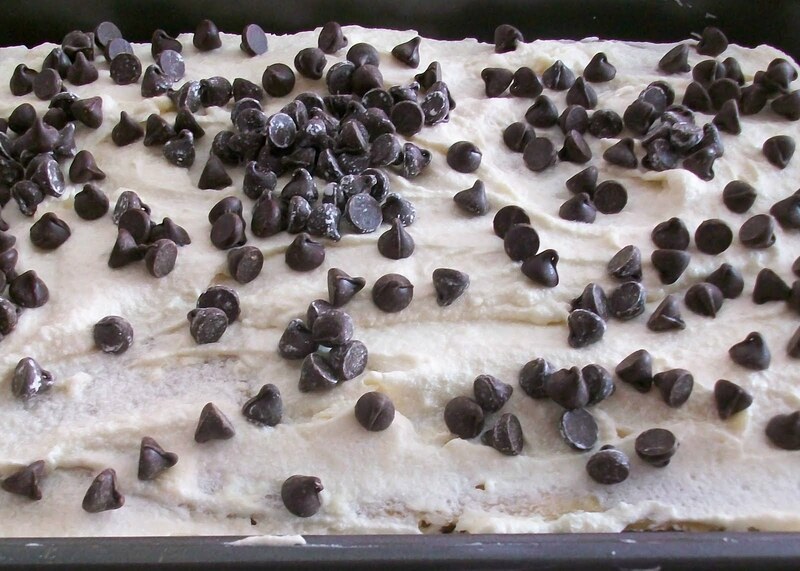 Moisten cake with the coffee and sprinkle with half a cup of the vegan chips. Place the other half of the cake on top and spread with the remaining frosting and sprinkle with the rest of the chocolate chips. Cover and refrigerate to let set and slice into squares. Now, don't you feel better without all that moonshine?